Just joined this forum, as I just won an Electra in an online auction. makes me feel it's worth the effort! Is there a secret code to upload private images? "i gotta fever...and the only prescription is more cowbell!!" I will send the post pics instructions to your personal email. Hey, thanks, for the help! 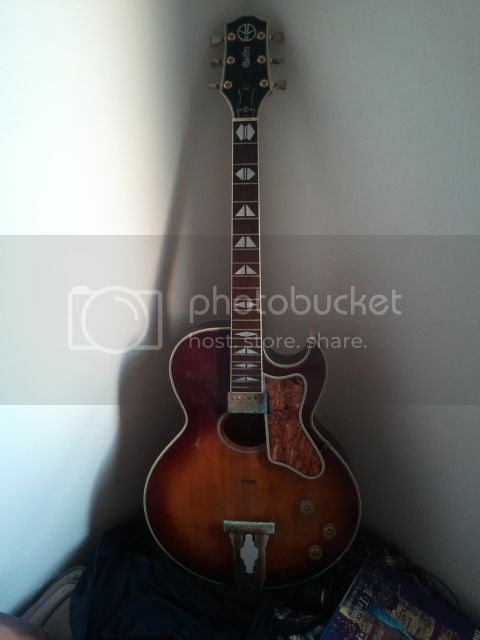 Here's the sadly neglected guitar. I look forward to bringing it back to life! That one looks like it will clean up very nice and you will have a stunner to play. Great score as these are not seen as much as the other Electra models. Thanks for the photo and Welcome to the forums. Nice guitar! 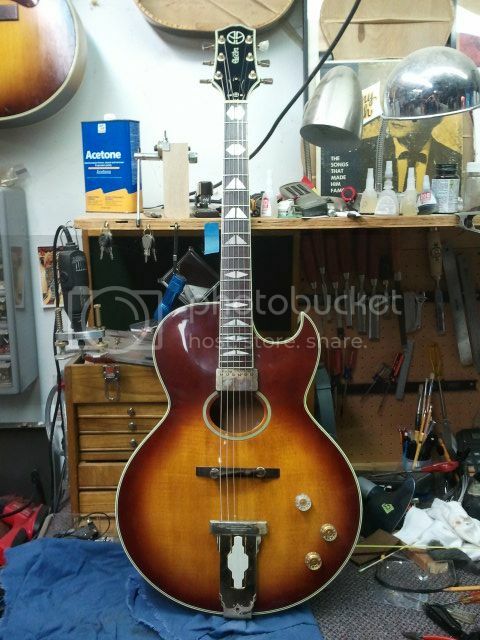 I don't see many of these and that headstock might possibly be an early version. Since I don't see too many of these and never owned one, what do you guys think? Nice one. 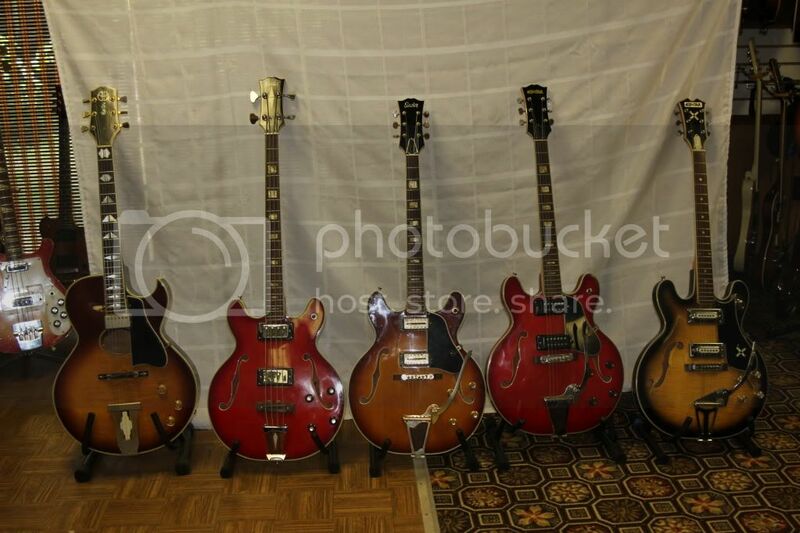 I try not to covet my fellow forum member's guitars but its hard not to in this case. Welcome to the forum. Picture of all of the hollowbodies that were there from Electrafest 2012 that includes Randy's X510. I think the headstock on that one is similar. The only thing I can see that is different is the pickguard shape and color/material. I played Randy's for a few seconds and enjoyed it. I hope you enjoy your new Electra. Thankfully, the body is in great shape as is the binding. Serial number is J777185, so I'm guessing July '77? I think I may have read that somewhere and forgotten the "code". Thanks! and other parts. Oh well. bucker on this? Am I losing out if I need to replace it? I should be able to bring everything back pretty well.... the pickup is so far gone that I'll replace it. Well, a little elbow grease and the decision to live with a loss of gold plating has given me a pretty cool guitar!